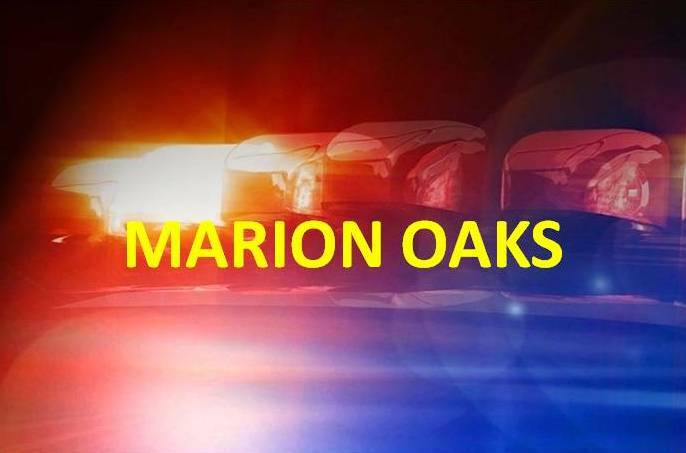 Marion Oaks, Florida — The following crimes occurred in Marion Oaks. The Marion County Sheriff’s Office needs the public’s help in catching the criminals that committed these crimes. A 2013 Jonway Scooter valued at $700.00 was stolen from the driveway of a home in the 3900 block of S.W. 147th Lane Road in Marion Oaks. Someone broke into a home in the 7800 block of S.W. 128th Place by throwing a propane tank through a rear sliding glass door. Once inside, the thieves stole three (3) TVs valued at $1300. Someone tried to kick in the front door on a home located in the 13,000 block of S.W. 80th Avenue. When they were unsuccessful, they shattered a bedroom window. Upon entry, the thieves stole all electronics to include two (2) TVs, a laptop, a Xbox with four (4) controllers, a 32 GB iPod touch, multiple Xbox games, and currency valued at $1,900. Law abiding citizens who live in Marion Oaks say they are fed up with the lack of sheriff’s deputies on patrol in the area. One of the victims said she places the blame on Marion County Commissioners for being selfish, not the sheriff’s office. The break-ins occurred during broad daylight while the victims were at work earning a living. Someone broke into a home in the 14,000 block of S.W. 42nd Terrace Road by prying open a rear window. Upon entry, the thieves ransacked the residence and forced open two (2) safes. Stolen was a shotgun, ammo, electronics, assorted jewelry, and currency with an estimated loss of $6,000. This break-in also occurred in broad daylight. If you have any information about the aforementioned crimes, you are asked call 352- 732-9111, or you can phone anonymous tips to Crime Stoppers of Marion County at 368-STOP or 368-7867. Text tips to 274637 using keyword 368STOP. Tips can also be submitted at www.ocalacrimestoppers.com.